Eastern Pearl is a residential complex of 16 suburban houses in Parekklisia, a very popular area on the eastern part of Limassol. 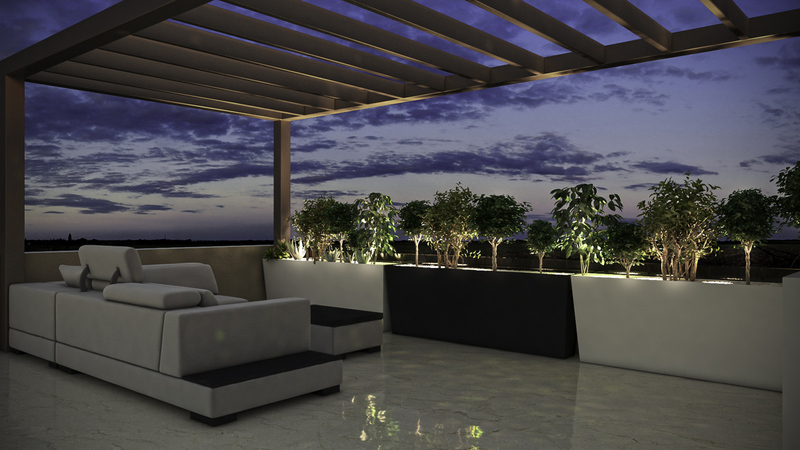 This high-end project, combines easy access to Limassol city centre (16 min drive) with calm and quiet life of countryside-with the beach and marina being few minutes drive away. 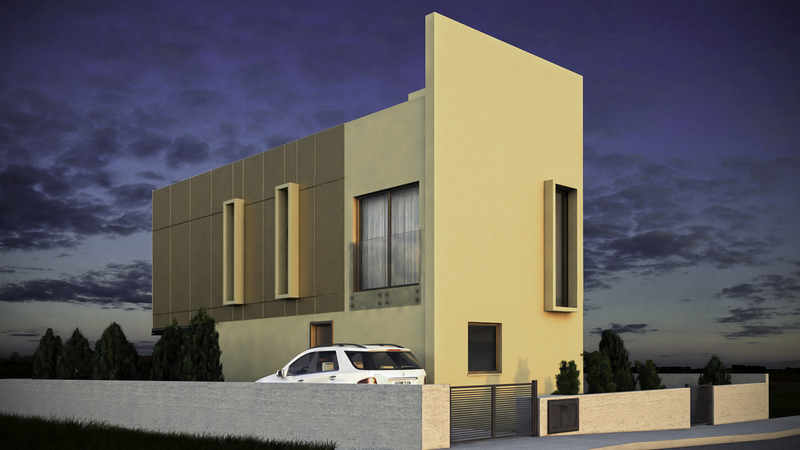 There are public schools, supermarket and all kind of shops needed in very close proximity. 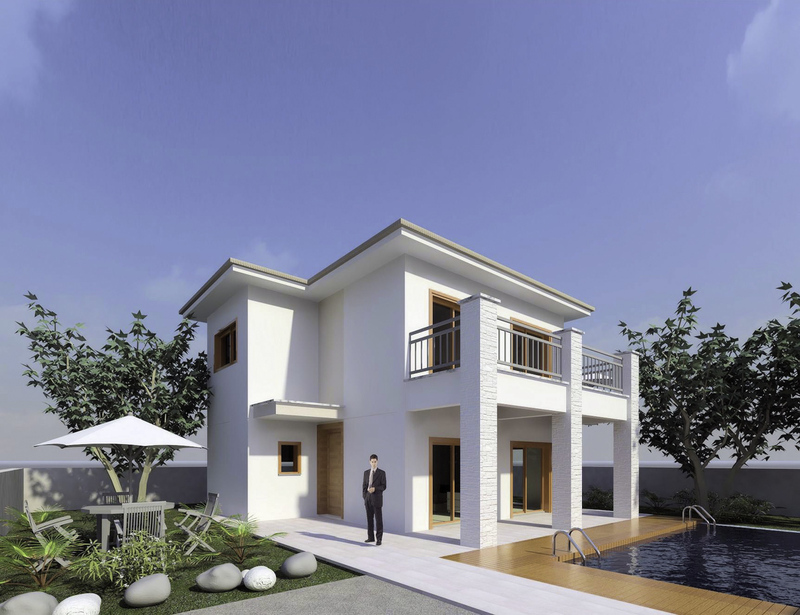 The project consists of 3 to 4-bedroom houses with spacious living areas, wonderful landscaped gardens, private swimming pools, sun patios and other custom amenities. 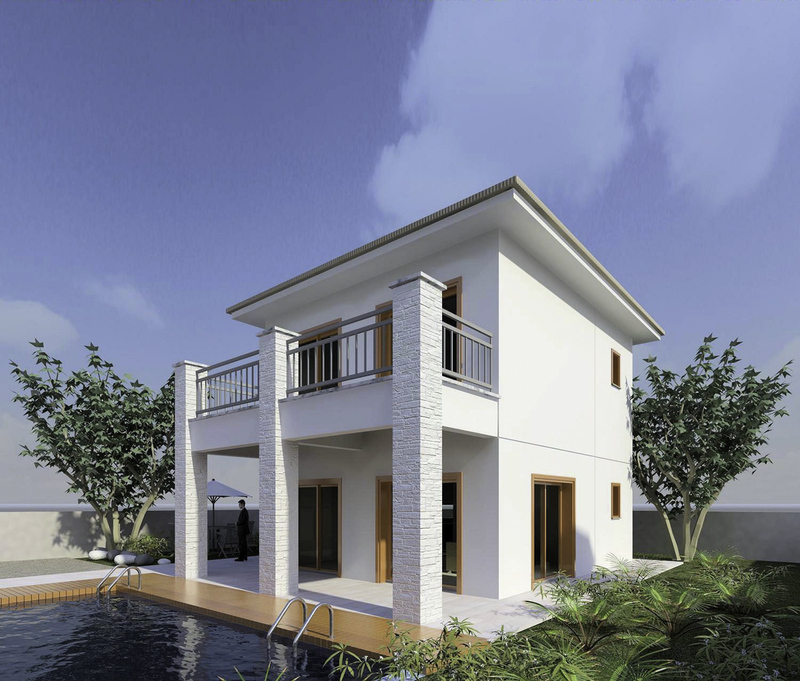 Natural elements such as wood, stone and terracotta will be incorporate into the development, Design details to the exterior of the properties add a modern touch. 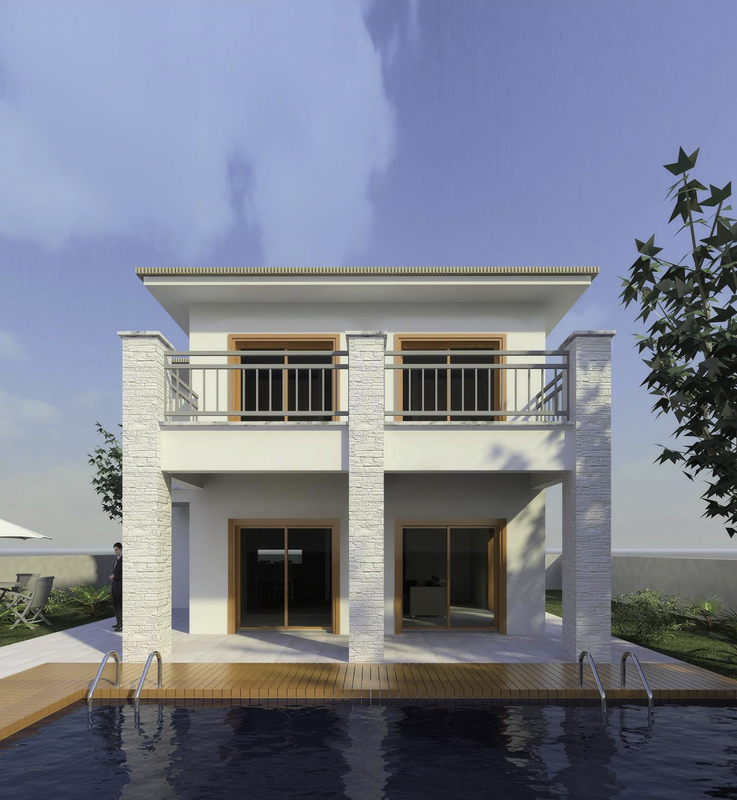 All villas can be also custom-built and each owner may enjoy one the healthiest climates in Cyprus. ⦁	Reinforced concrete frame comprising of raft foundation, columns, beams and slabs, designed in accordance with the regulations for anti-earthquake construction. ⦁	Exterior walls will be of 25cm thermos-insulated bricks. ⦁	Internal partition walls will be of 10cm hollow bricks. ⦁	Thermo insulated with 5cm of polystyrene. ⦁	The living room, kitchen and dining areas will have ceramic tiles or laminated parquet floor. ⦁	The bedrooms will have laminated parquet floor or ceramic tiles. ⦁	The bathrooms will have ceramic floor tiles and wall tiles. ⦁	The kitchen backsplash will have ceramic tiles. ⦁	The Verandas and pathways will have ceramic tiles. ⦁	The parking area and pathways will have ceramic tiles. ⦁	Internal staircase will be out of marble. ⦁	The kitchen work top will be granite. ⦁	Externally surfaces will have three coats of plaster painted with three coats external use of paint. ⦁	Internally surfaces will have 3 coats of plaster and 3 coats of emulsion paint. ⦁	The main entrance door and door from parking area will be with PVC. ⦁	House external balcony doors and windows will be double glazing made from PVC. 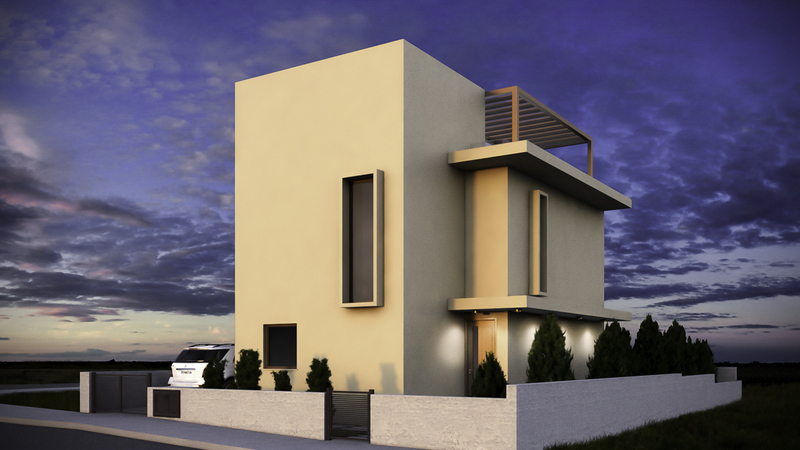 ⦁	Electrical roller-shutters will be installed, with exception of WC’s and kitchen window. ⦁	The kitchen cupboards will be with lacquer as an external finish. ⦁	The bedroom wardrobes will be sliding open with lacquer as an external finish. ⦁	All internal doors will be with lacquer as an external finish. ⦁	Bath tab: Model Ideal Standard (Aida duo). ⦁	Shower tab: Model Grohe. ⦁	Basin: Model Ideal Standard (Sottile). ⦁	Mixer taps & shower hand: Model Grohe. ⦁	WC: Model Ideal Standard (Connect). ⦁	Accessories (toilet roll holders and towel rails): Model Vado. ⦁	The kitchen sink: Model Pyramis Amaltia or Sparta (stainless steel). ⦁	Hot and cold water supply lines pipes will be installed. ⦁	Water tank of 800ltr for cold will be installed. ⦁	Water pressurized pump will be installed. ⦁	Solar panels for hot water and electric water heater of 180 ltr will be installed. ⦁	The house main entrance door will be controlled with door phone. ⦁	TV points will be installed in the living area Kitchen and in all bedrooms. 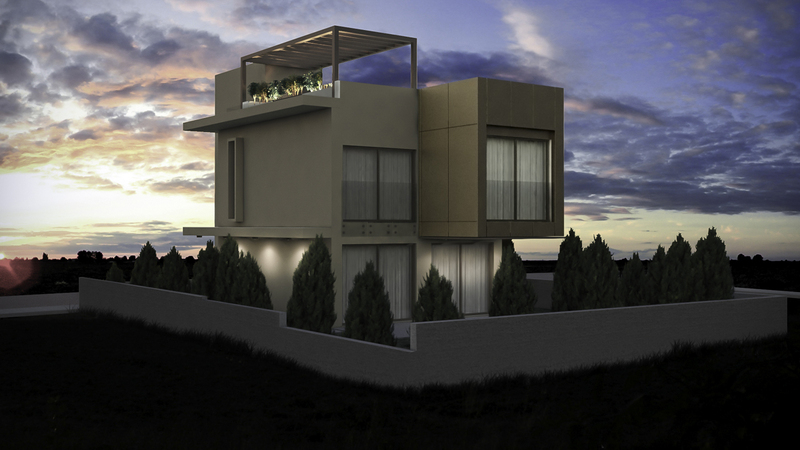 ⦁	Telephone lines will be installed, with telephone sockets in the living room kitchen and master bedroom. ⦁	Structure cable network will be installed. ⦁	Switches with safety fuses or dipolar switches with light indicators will be installed for all kitchen appliances in accordance with the Electricity Authority’s regulations. ⦁	Network lines will be installed, with network sockets in the living room Kitchen and all bedrooms. ⦁	In kitchen and Living room decorations with suspended ceiling will be made. ⦁	In all toilets suspended ceiling will be installed. ⦁	Lighting fixtures will be installed. ⦁	The balcony railings will be with glass. ⦁	Under foundation will have polythine of 150 microns. ⦁	The perimeter of foundation will be installed asphaltic insulation. ⦁	Verandas under the ceramics will have cement type insulation reinforced with net. ⦁	The roof will have asphaltic insulation. ⦁	The foundations of the boundary walls will have polythine of 150 microns and asphaltic insulation. ⦁	Provision for wall type split unit air-condition system. ⦁	Provision for wall type electric panel heater will be made. ⦁	Provision for photovoltaic system will be made.